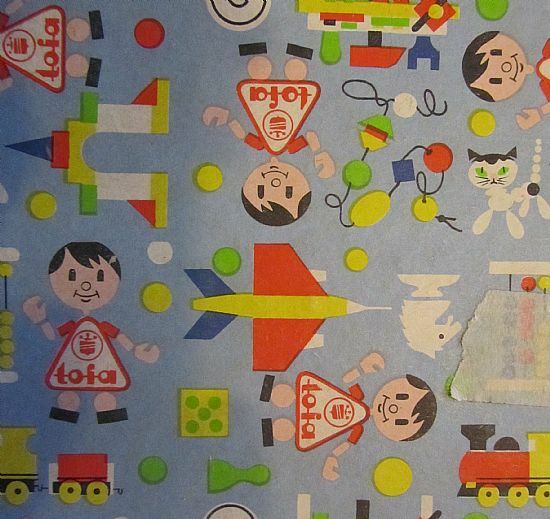 Tofa are a Czech company specialising in wooden toys. 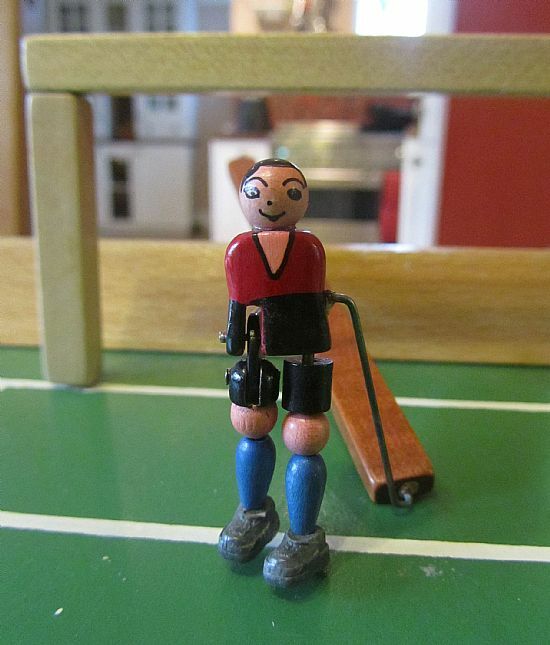 This is an ebay purchase that I am absolutely delighted with. Lovely wooden game with beautiful goals and players. Usual magnetic rod format. 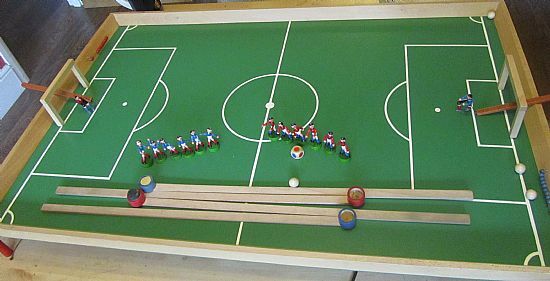 Large wooden pitch and six a side teams controlled by magnetic paddles. Probably the most original and sweet teams in my collection. 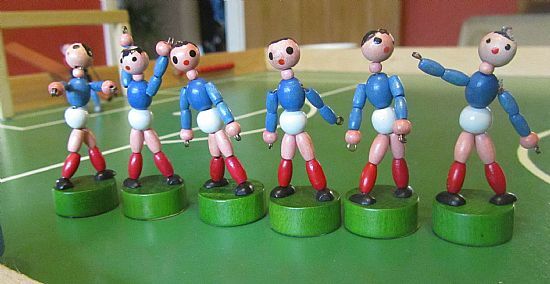 Absolutely beautiful little players made from wooden beads. 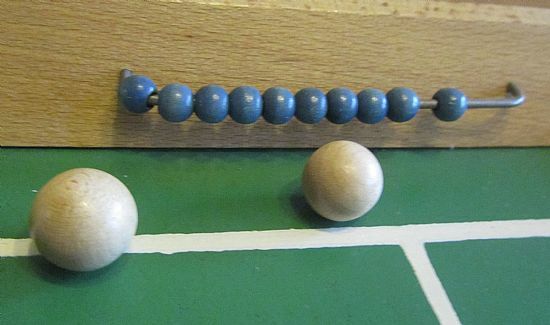 Nice metal scoreboard, again with wooden beads. 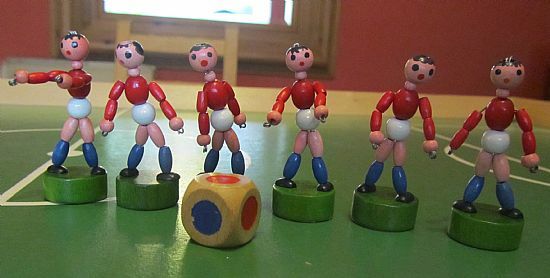 The only fault with this game is the one keeper who is missing his arms! 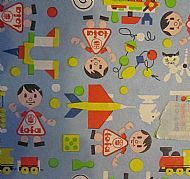 Lovely box artwork from this Czech company.